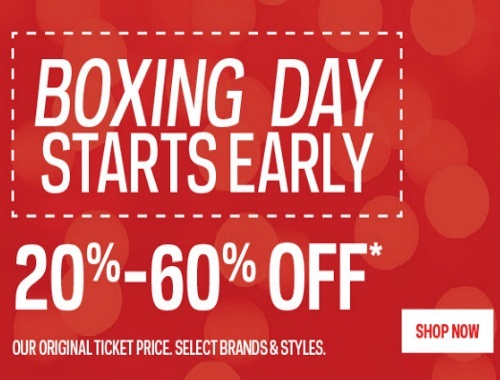 Sportchek's Boxing Day Sale is on now! Save 20-60% off the original ticket price of select brands and styles! Plus extra winter savings make a purchase between December 13-31 and receive an online promo code for $20 off your January purchase when you spend $100 or more.